Explore the magic of a cruise in Greece and the beauty of a Greek Islands cruise on a sailing yacht. Alpha Yachting offers you the opportunity to take a cruise in Greece or take a Greek Island cruise. We offer you the chance to cruise around Greece and the greek isles. 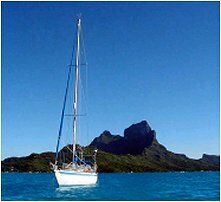 Alpha Yachting offers a full range of motor yachts, motor sailers, sailing yachts and bareboats yacht charter in Greece.